The beautiful embroidery and fringed sleeves of this $3 muumuu caught my eye at the thrift store. I liked how the beautiful sleeves were the primary focus of this otherwise fugly muumuu. I thought I could simply take in the sides and shorten the skirt, but this muumuu was enormous. The neckline and shoulders were too wide to work with for my small frame, and the best way to upcycle this dress was to start over with a new pattern. I made a bell sleeve pattern using a slash and spread technique I learned from my pattern drafting class. 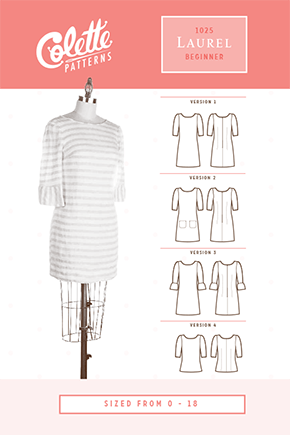 Step 1: Make a copy of the sleeve pattern and mark the lines where you will slash the pattern. Cut the lines from the bottom to top and stop 1/8″ from the top. That 1/8″ bit you didn’t cut will become a hinge that will let you spread the sleeve. Step 3: Spread apart the sleeve to your desired width. 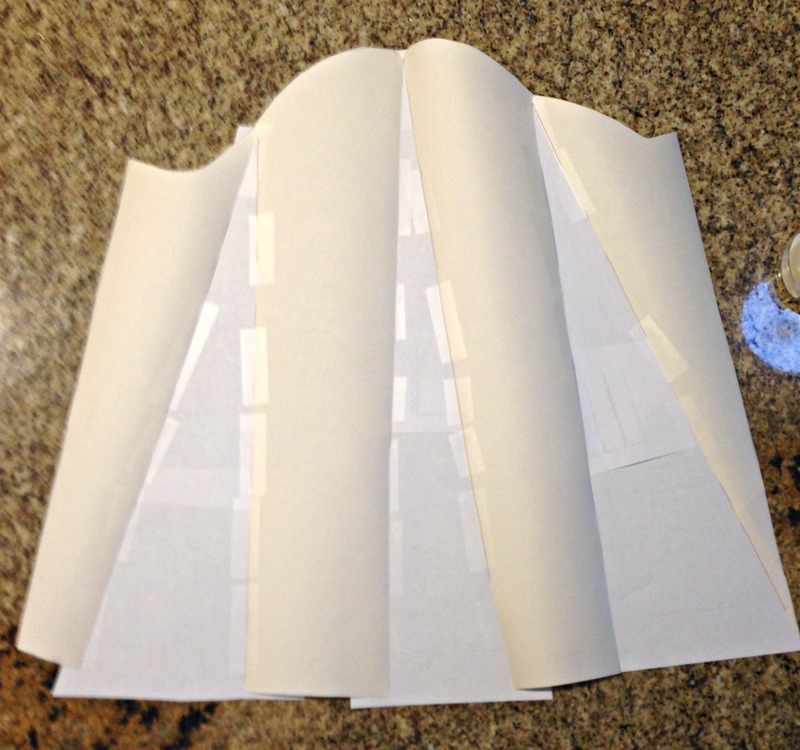 Step 4: Fill in the gaps of the pattern with paper and scotch tape. Here’s a close up of the sleeve. Isn’t the embroidery pretty? It really makes the sleeves pop. Ta da! Finished shirt! I’m extremely pleased with the fit of this top. I only had to make the slightest tweak with the waist. Getting the right fit has always been tricky for me. I never had much success with the patterns I bought at Joann’s because I spent more time altering the fit than constructing the garment. After years of buying $1 patterns at Joann’s, the $14 price tag of the Colette pattern felt expensive, but the almost perfect fit was worth the cost, and I liked the instant gratification of the PDF download. You’re probably wondering if I’m affiliated with Collette. No, I’m just a highly satisfied customer. Reblogged this on Vintage Thrifter. That is too cute! I can’t wait to see what you come up with next! 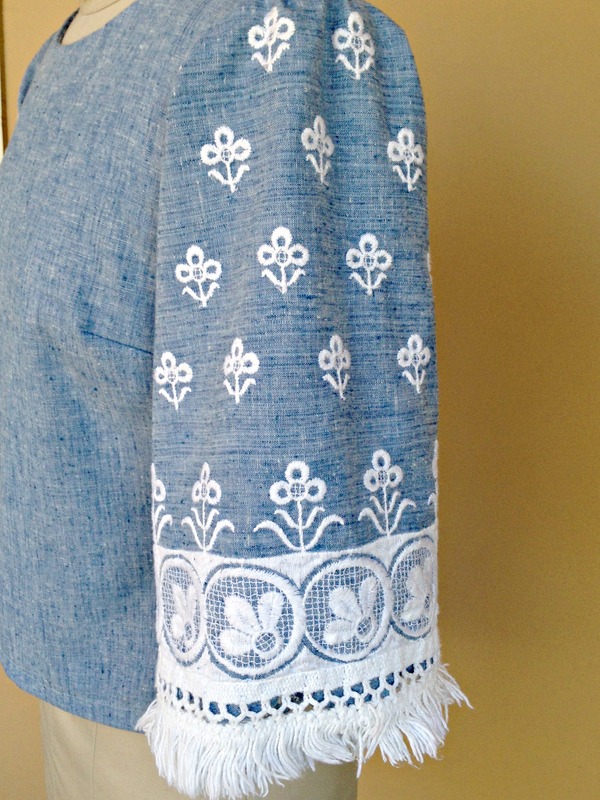 This is a fabulous refashion… I love the beautiful sleeves!